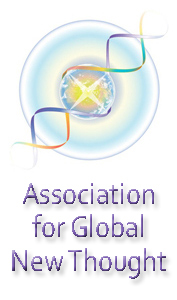 The Awakened World conference is a pivotal gathering to shape an evolutionary moment in human history. The event will bring together some 300 peace leaders and spiritual activists from religious and spiritual communities around the world, representing a broad spectrum of expertise and endeavor. The work of the group will focus on training and empowering agents of change, shaping a coherent and sharable map of evolving religion and spirituality, and inspiring concrete new initiatives of service to humankind and the Earth. 1. Ours is a time of dramatically accelerated cultural evolution. 2. One of the most important dimensions of that process is the evolutionary transformation of religion and spirituality – a Second Axial Age. The First Axial Age, first identified by the German philosopher and psychologist Karl Jaspers, unfolded in the first millennium bce. It was marked by the emergence of individual consciousness, making it possible for humans to step forth from purely tribal existence. Human cultures began to attend in entirely new ways to ethical responsibilities and spiritual possibilities. The Second Axial Age is now giving rise to a new global consciousness. Still acutely aware of our individual existence, we begin to recognize our roles as global beings. Our ethical awareness broadens and deepens; our spirituality is enriched by the encounter with other seekers. Our exclusivist certainty develops into open-minded inquiry.